The Highlander Perks dining plan was intended to be implemented in fall 2018 but, due to technical considerations, the dining plan has been pushed back to begin in fall 2019. 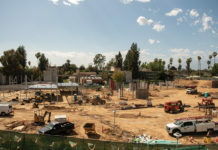 The new project from Housing, Dining and Hospitality Services is intended for students who are not currently offered a traditional dining plan through their on-campus housing contract as well as current UCR faculty and staff. 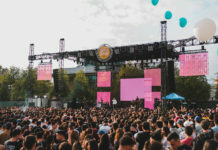 In an interview with the Highlander, Benjamin Eisenstein, the marketing and strategic communications manager for UCR Housing, Dining and Hospitality Services, stated that the Highlander Perks dining plan will feature a traditional block plan, with a specific number of meals per quarter or per week. The cost of the meals will be discounted from the door rate. Both will be honored at UCR’s two all-you-care-to-eat residential restaurants, located within the Aberdeen-Inverness and Lothian residence halls. The blocks of meals would be loaded onto an R’Card. When implemented in fall 2019, Eisenstein hopes that Highlander Perks in UCR’s residential restaurants will deliver an excellent all-you-care-to-eat dining experience to members of the campus community who may typically enjoy their meals elsewhere. He stated that residential restaurants offer an abundance of healthy, sustainable and delicious meals in a comfortable setting. 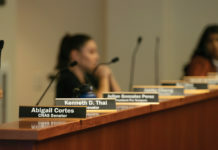 Eisenstein stated, “We often hear feedback that the restaurants in the center of campus can seem crowded at the peak of lunch and our residential restaurants offer plenty of seating, just minutes away,” and he hopes that the Highlander Perks dining plan will offer students a less crowded alternative.